ONE (1) package of CHRISTMAS REINDEER clear stamp set in The Bee's Knees line. There are 10 pieces of clear stamps in the package. 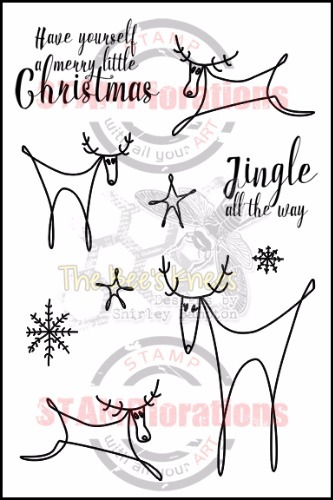 This stamp set is in a backing sheet packaged in a 4" by 6" resealable hang hole cello bag. For your reference, the largest reindeer is approximately 1.9 inches wide by 2.65 inches tall. This stamp set also has coordinating dies found here.